COMmeto is a Belgian SME active in software architecture services, software development for interconnecting heterogeneous systems and services, software for automation projects, communication over the internet, interconnection of different types of networks (Internet, Intranet, PAN, BAN, wireless etc.) and signal processing systems. 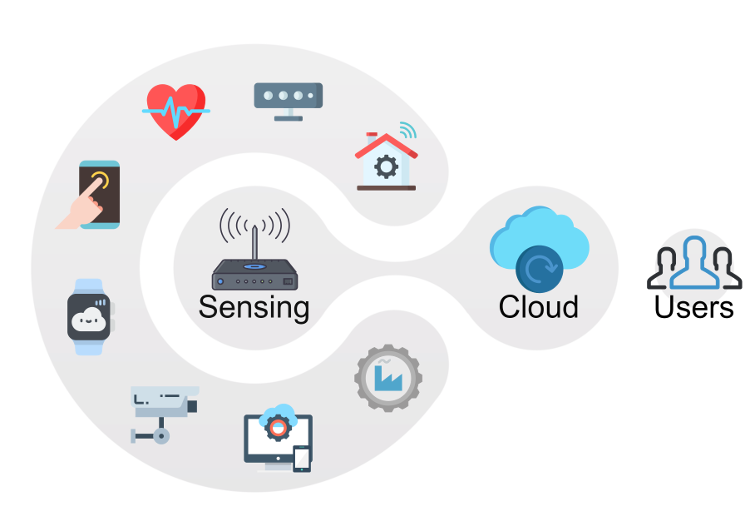 Recent activities focus on eHealth/mHealth/eCare installations for the home with associated services on the Internet. 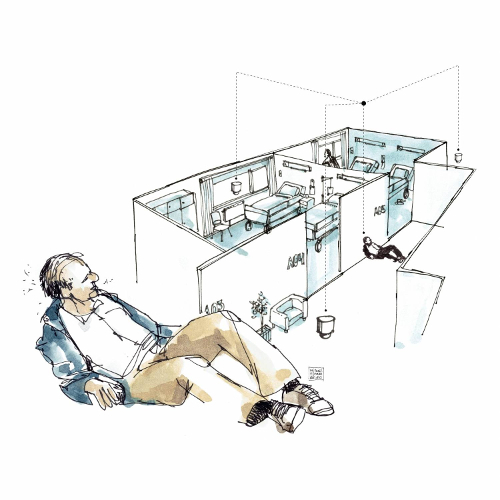 "For example, we want to examine how the older person moves. With a kind of camera system, we can map this during the physical therapy sessions ", says Ludo Cuypers. In Sint-Jan Berchmans residential care center in Hamont, the next three years will be a remarkable European pilot project on remote care. Thirty elderly people and their living environment will be monitored via sensors. Ultimately, this should lead to an instrument that allows health care providers to permanently follow up the health status of the elderly and intervene quickly if needed. In the 2017-2018 academic year, Simon Vercruysse and Laurens Osstyn, students of the Faculty of Engineering Technology (Master in Industrial engineering: Electronics-ICT) at UHasselt, and Jasper Deflander, student at the Faculty of Engineering Science (Master of Engineering: Computer Science) at KULeuven developed an educational STEM package as a master's thesis commissioned by and in collaboration with COMmeto and RVO-Society. This package allows young people to build a simple version of a robot arm that can remotely mimic the human movements. The main objective of this project is to stimulate the interest of pupils in the third grade of secondary education for STEM (Science, Technology, Engineering and Mathematics). Specifically, the developed package consists of an exo-arm with the necessary sensors and actuators to control it. The students can build up this arm step by step using the created handbook. 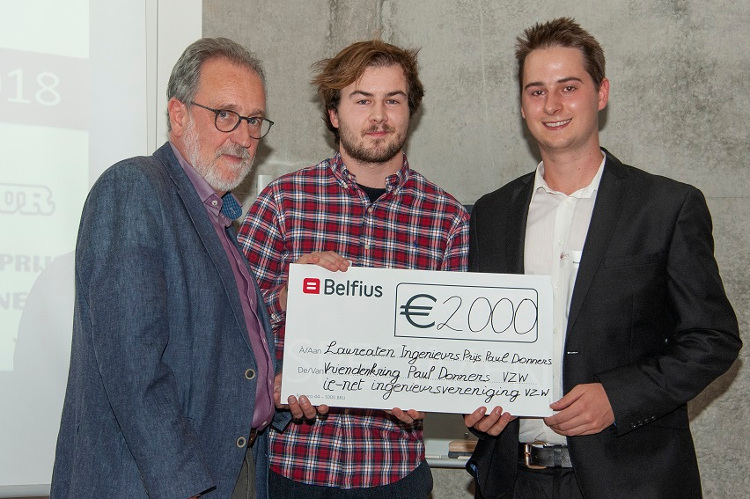 The Paul Donners Engineering Award 2018, which is granted to the best industrial engineering thesis in Limburg, was won by the students of UHasselt. A group of researchers is conducting tests on their exoskeleton for the upper body. More than 10 test subjects are willingly participating in the tests. During the tests, the group records pressure and strains on different muscle groups in the upper body and compares the recordings with recordings of the test subjects wearing the AXO-SUIT exoskeleton. Next step is to test the upper body exoskeleton together with the lower body exoskeleton, which a Swedish research group is currently working on. The project was funded by EU AAL joint programme and funding agencies from Belgium, Denmark, Ireland and Sweden. Eight partners of universities and SMEs participated in this 3.5 year project. In the project, lower-, upper- and full-body exo-skeletons are developed, tested and validated with end-users. The objective is to assist the elderly in their daily activities to be active in the society. AXO-SUIT is an assistive exo-skeleton that helps the elderly in their daily activities by giving them the extra force they need to move their arms, hands or legs. The project received support from EU's Active & Assisted Living Programme (AAL) and it was showcased during the second European Summit on Digital Innovation for Active & Healthy Ageing. Over 40% of the 75+ age group fall at least once a year. Such a fall does not only have major medical consequences, but can also quickly reverse mental health. The company COMmeto from Ham (Limburg, BE) is currently working on software that has to identify the causes of a fall and develop algorithms to predict when the risk of a fall is high. As one of the CrossRoads2 projects, together with Ivengi from Maastricht (Limburg, NL), COMmeto is currently investigating the elderly patients at the Public Psychiatric Care Center in Geel (Antwerp, BE). In the study, data from various parameters are collected with the help of sensors (on the chest, in the shoe soles and in the rooms). These provide insight into the causes of outliers, such as medication use, anxiety, confusion, loss of fitness and alcohol. CrossRoads2 is a subsidy project that supports Belgian-Limburg SMEs with cross-border, innovative and technically feasible ideas. In Belgian Limburg, 16 SMEs are involved in the project. Copyright © COMmeto. All rights reserved.